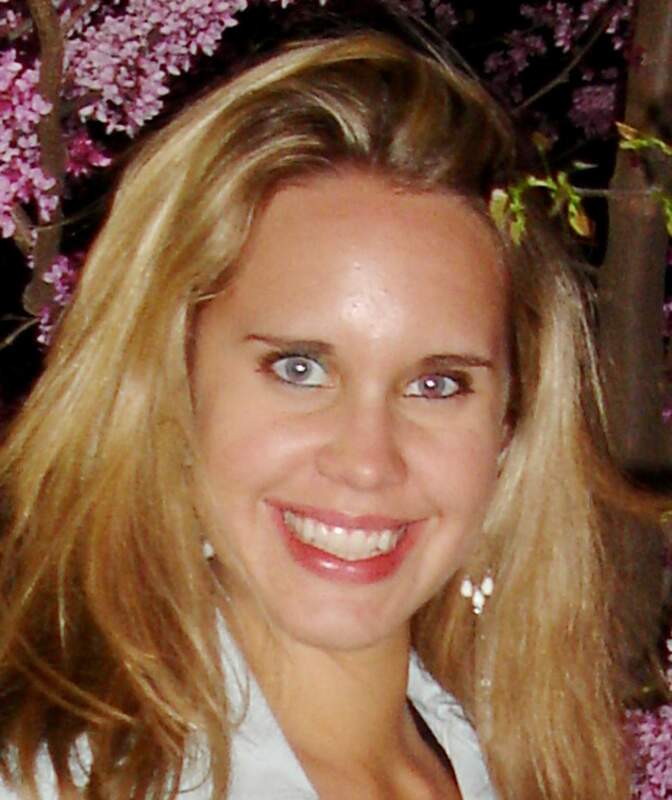 Erika Langhart, 24, died on Thanksgiving Day 2011, after suffering two heart attacks. Her parents, Rick and Karen Langhart, formerly of Durango, say NuvaRing, a third-generation birth control, caused the blood clots that killed her. Since Erika Langhart died at age 24 after two heart attacks in 2011, her parents Karen and Rick Langhart have fought to have the product that they say killed her – NuvaRing – taken off the market. Now they are denouncing the $100 million settlement that Merck & Co., the pharmaceutical giant that produces NuvaRing, is offering to resolve about 3,800 lawsuits in federal and state courts, claiming the company concealed NuvaRing’s potentially lethal side effects. Numerous studies show NuvaRing, a form of birth control that uses “desogestrel,” a third-generation progestin, increases the risk of blood clots that lead to strokes and heart attacks. Merck, the second biggest U.S. drugmaker, did not respond to requests for comment. Under the settlement agreement, Merck denies any fault. The settlement must be accepted by 95 percent of about 3,800 eligible plaintiffs before March 10. To the Langharts, this amounts to lawyers awaiting payday. While the Langharts’ criticism of the settlement is withering, other women and families may see it differently, said the Langhart’s lawyer Hunter Shkolnik, a senior partner with the New York-based law firm Napoli Bern Ripka Shkolnik, LLP. Shkolnik said in addition to the Langharts, his firm represents hundreds of plaintiffs affected by NuvaRing. He praised the settlement, saying it was a “good opportunity” for many plaintiffs who fear they might lose their cases against Merck in court. “Not everyone has suffered like the Langharts,” he said. Shkolnik said right now, Merck’s settlement deal is structured so that if 95 percent of plaintiffs “opt in,” Merck will provide the $100 million it has promised. But their decision to settle won’t affect the 5 percent of plaintiffs who, like the Langharts, refuse to settle, Shkolnik said. Rick Langhart, Erika’s father, said the proposed settlement amounts to “a travesty. “We are truly devastated. It appears that, from a legal standpoint, Merck is literally going to get away with murder,” he said. The Langharts want Merck to be held accountable for their daughter’s death in a jury trial. They say the settlement is unconscionable, and they vow to fight against it. Shkolnik said the Langharts will still get their day in court. “They are on the docket in California. We’ll go to court as soon as the judge gives me a trial date,” he said. Merck’s $100 million settlement offer comes just weeks after Vanity Fair published a long investigative report featuring the Langharts on the dangers of NuvaRing. There’s more media attention in the pipeline – Anderson Cooper has already filmed the Langharts for a three-part special report on NuvaRing that is yet to be broadcast. But the Langharts fear the settlement will diffuse the public’s burgeoning concern about NuvaRing. “If the settlement is successful, Merck is simply going to get away with all of their wrongdoings for what is, to them, a small price to pay for ‘doing business,’” Karen Langhart wrote in an email. The Langharts said in the broader context of Merck’s balance sheets, $100 million represents a drop in the bucket, and Merck will be able to continue marketing NuvaRing to young women as next-generation birth control with fewer side effects such as acne. According to Vanity Fair, in 2012, NuvaRing made Merck $623 million. Women filled 5.5 million prescriptions for NuvaRing in 2010. Merck’s $100 million offer, which works out to an average payout of about $58,000 per plaintiff, is a fraction of what other pharmaceutical companies have paid in response to similar charges about third-generation birth controls. Last year, the German drugmaker Bayer AG said it had paid nearly $1.6 billion to settle nearly 6,800 lawsuits that alleged its Yaz and Yasmin birth-control pills caused blood clots that led to strokes and heart attacks. At $100 million, it may sound like Merck is getting off easy, Shkolnik said. But he said it is unfair to compare the proposed settlement to Bayer’s $1.6 billion payout for Yaz and Yasmin because the FDA has been much more lax in regulating NuvaRing, which gives plaintiffs’ lawyers less ammunition in court. “Karen’s unhappy with it; I’m not happy with it,” Shkolnik said. “But somebody in the FDA, for whatever reason, likes Merck a lot more than it likes Bayer, because Bayer would still have a billion-dollar product,” if it weren’t for the FDA’s intervention. In 2012, the FDA mandated that Bayer revise its labels for Yaz and Yasmin after Denmark’s Dr. Øjvind Lidegaard published research in the British Journal of Medicine showing they placed women at significantly higher risk of suffering VTE, or venous thromboembolism. The FDA has so far declined to make similar recommendations about NuvaRing despite a 2012 study by Lidegaard also published in the British Journal of Medicine showing women who use vaginal rings such as NuvaRing are 90 percent more likely to suffer VTE than those who use birth control with earlier forms of progestin. “Someday, we’ll maybe uncover why the exact same science prompted a different label change,” Shkolnik said. In an emotional phone call on Friday, Karen Langhart said when she learned almost all of the litigation against Merck might be resolved for what seemed a piddling sum – without Merck’s admitting fault, “It was the second worst day of our lives. She said pursuing justice was painful, and she was nearly out of hope.